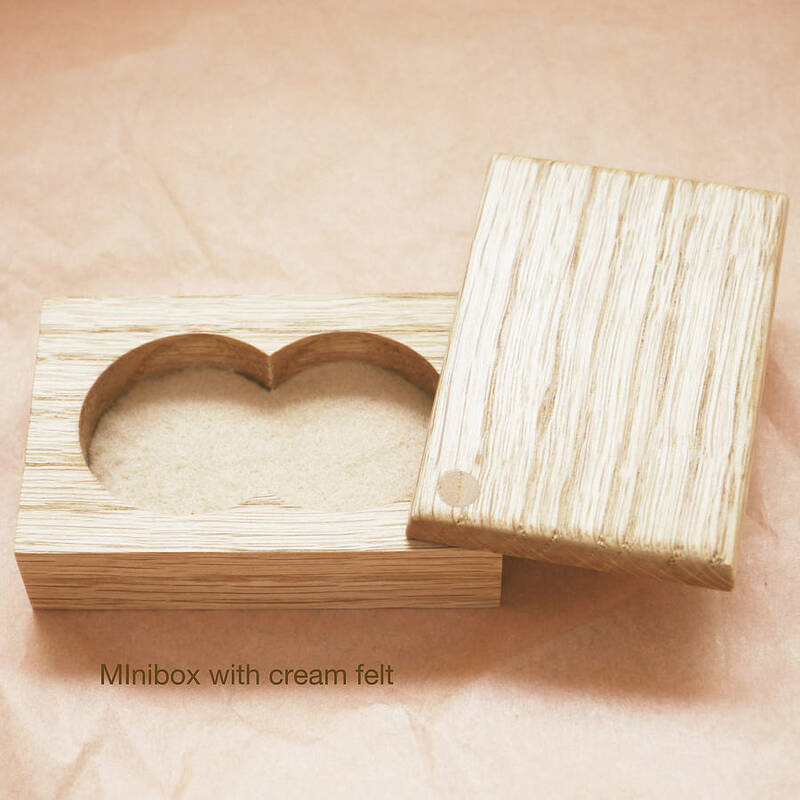 This miniature keepsake box is an attractive way to display your small memorable items. 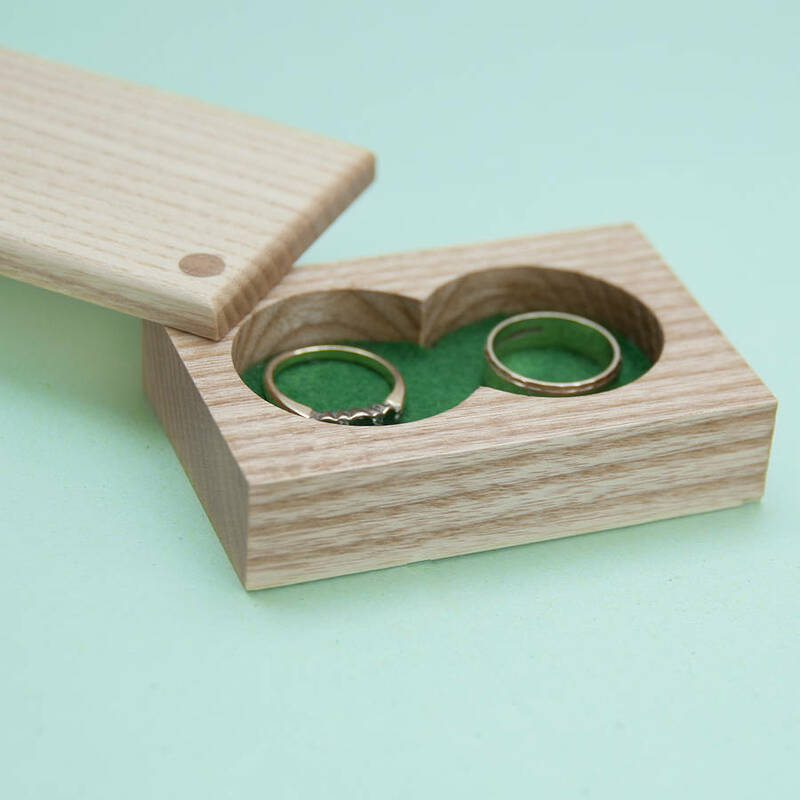 This box would also be a unique way of carrying and displaying the wedding rings on your wedding day or even presenting your loved one with a birthday or anniversary gift. It could hold a cherished item for a child such as a lock of hair or treasure a piece of jewellery from a loved one. 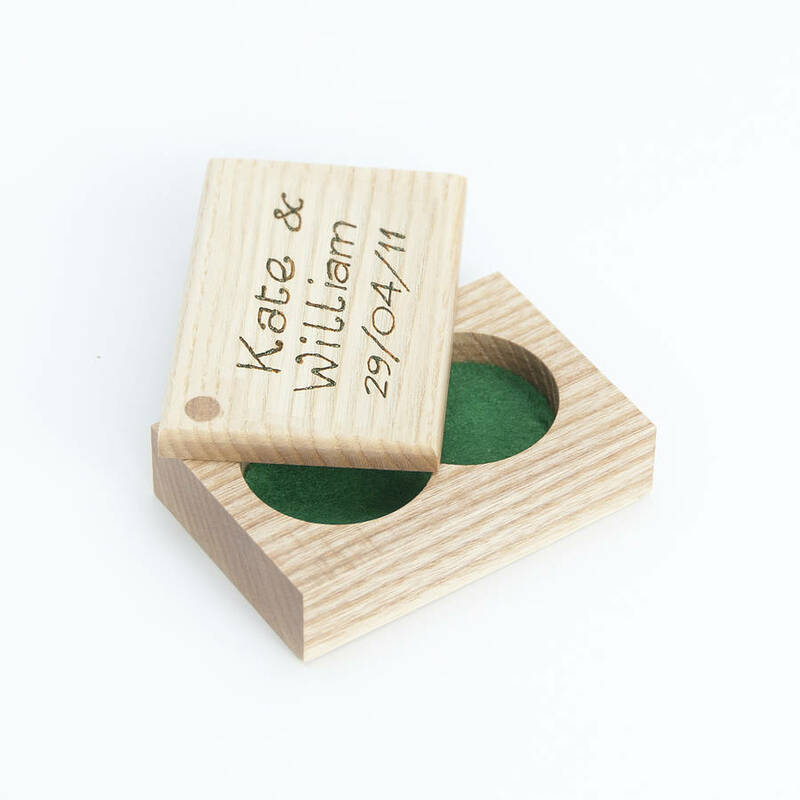 The boxes can be personalised with up to three lines of text which is burned into the wood by hand thereby creating an everlasting message. Each line of text can have a maximum of ten characters including spaces. See the photograph above for an example. You can choose to receive the keepsake box in a gift box with or without a gift card in the box. The gift card is handwritten and it can have a maximum 80 characters. 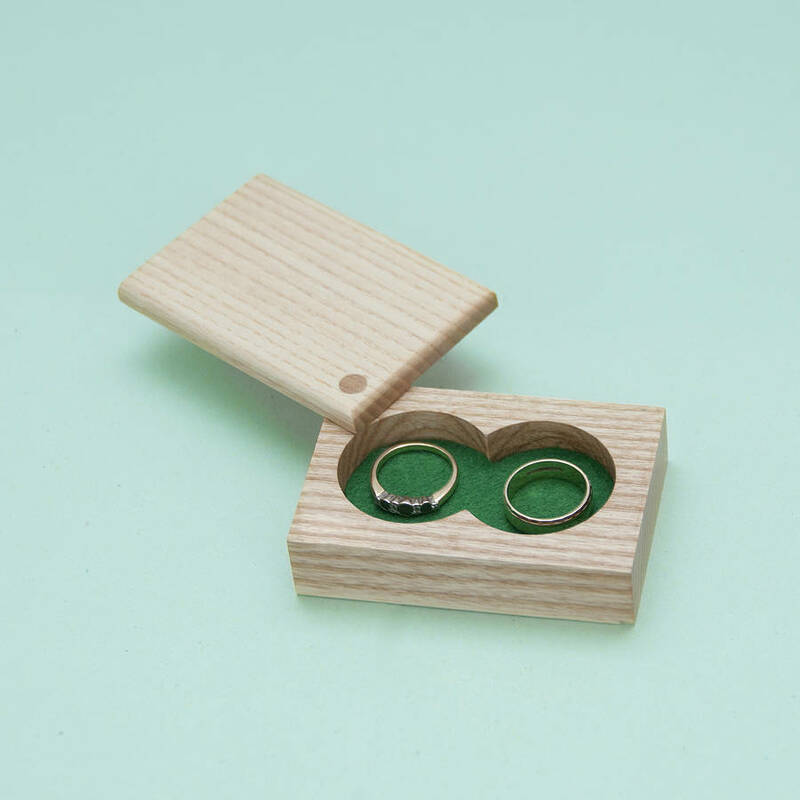 Each box is hand-crafted in the UK from solid ash. 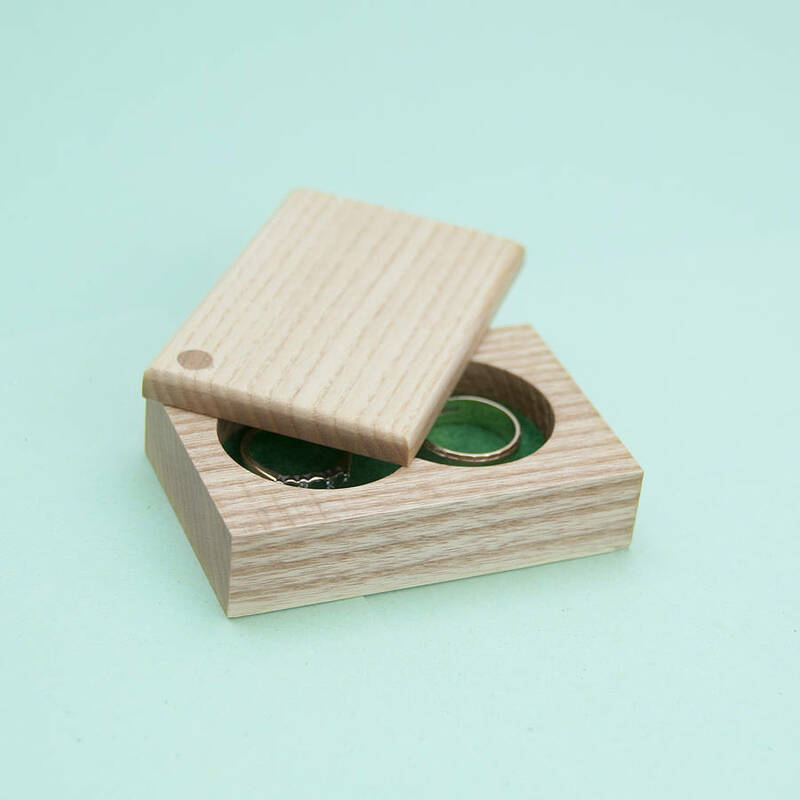 The box lid is pivoted at the top left hand corner on a wood dowel to reveal two overlapping circular enclosures inside, lined with felt – ideal for holding small items. When ordering you can choose the colour of felt - green, cream, red or blue. Green and cream colours are shown in the photographs. The personalisation is done by hand using a pyrography pen. This pen has a heated tip with which the lettering is burned into the wood. To bring out the natural wood colour of the keepsake box and highlight the grain pattern, the product is finished with two coats of finishing oil and polished to a satin sheen with a blend of pure waxes which includes beeswax. The boxes are not only functional but are also kind to our planet. Because of our care for the environment we buy all our timber from a properly managed and sustainable source. 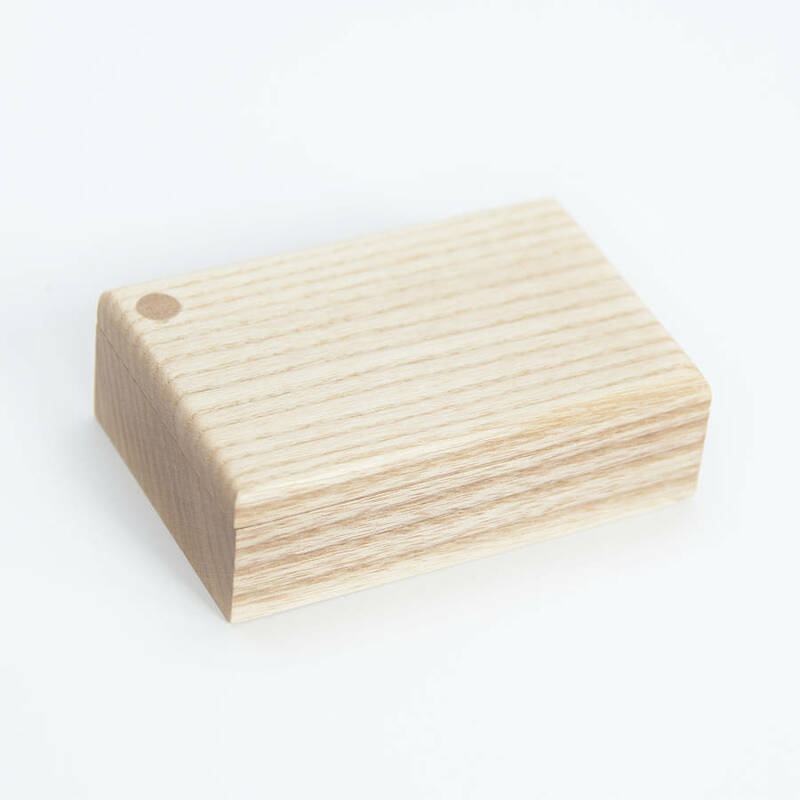 Measuring approximately just 7.6cm wide x 5cm deep x 3.5cm tall this box will fit neatly into a pocket or handbag or sit comfortably on a bedside cabinet or dressing table. The holes inside are 3.5cm in diameter and 1.5cm deep. 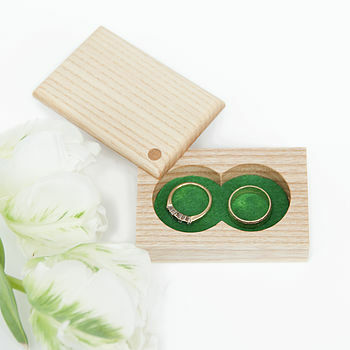 The rings shown in the photographs are not included.